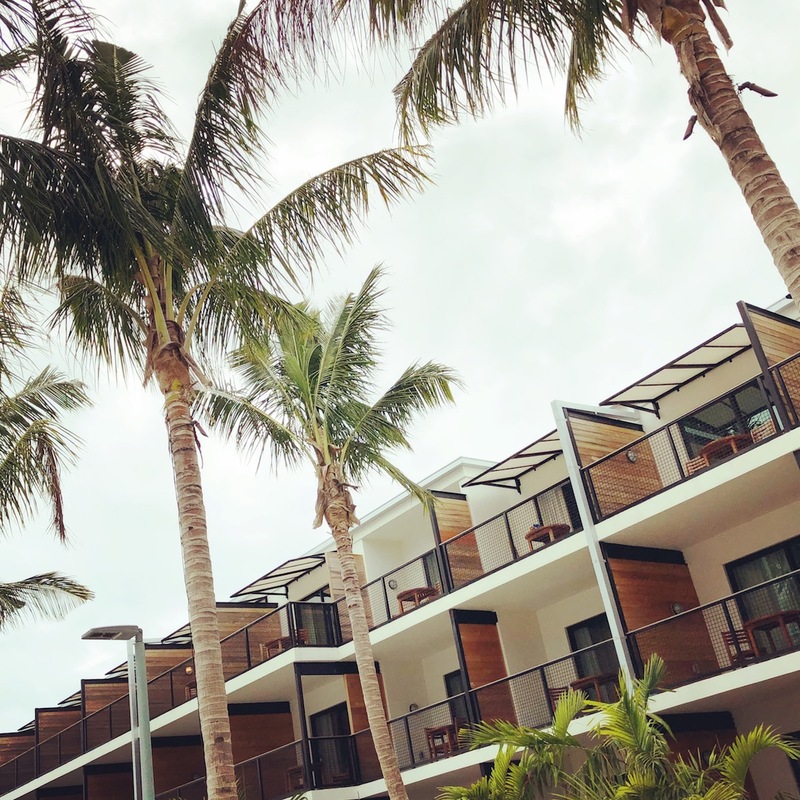 The Perry Hotel on Stock Island is something far different from your typical hotel in Key West. This brand new hotel boasts stunning modern architecture & design at every corner. 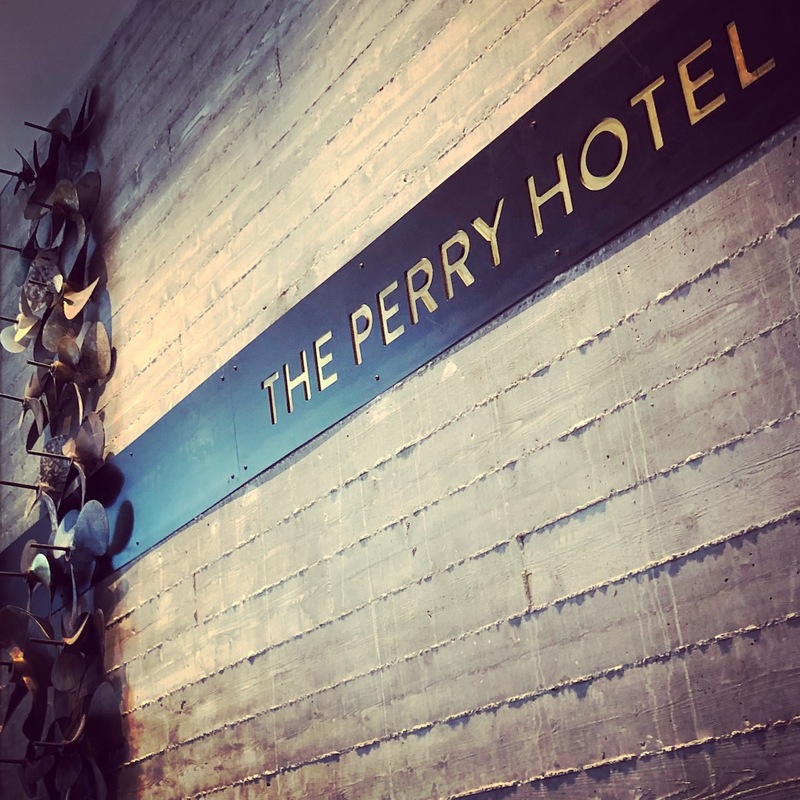 The Perry Hotel sets the bar high for hotels, and this is what people are looking for – hotels that don’t underestimate a guest’s sense of style. 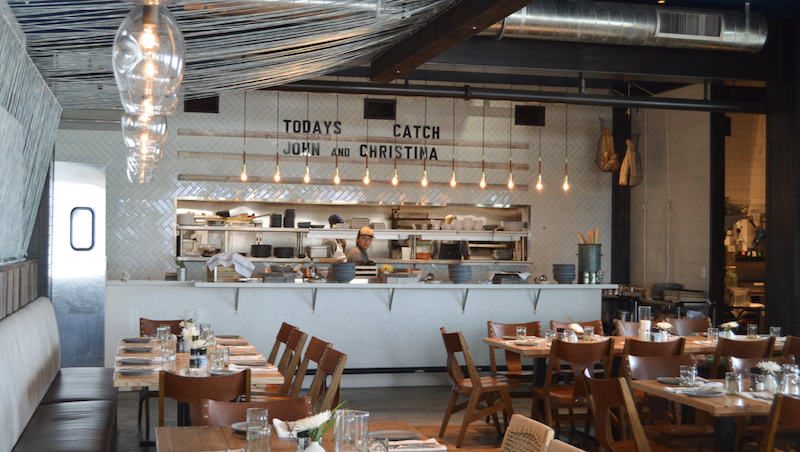 The scene is changing for hotels, and the Perry Hotel is leading the way. Will other hotels be able to keep up with the changing tide like The Perry? Walking into the Lobby, make sure you take time to admire the detail of the rustic chic décor. An ode to the local maritime and fishing heritage, the décor cleverly celebrates and infuses actual maritime objects into beautiful pieces of artwork. Note the propellers so effortlessly and artistically aligned vertically in the lobby. As a matter of fact, the Perry is the 2017 Winner of the Gold Key Award for Best Upscale Lobby. 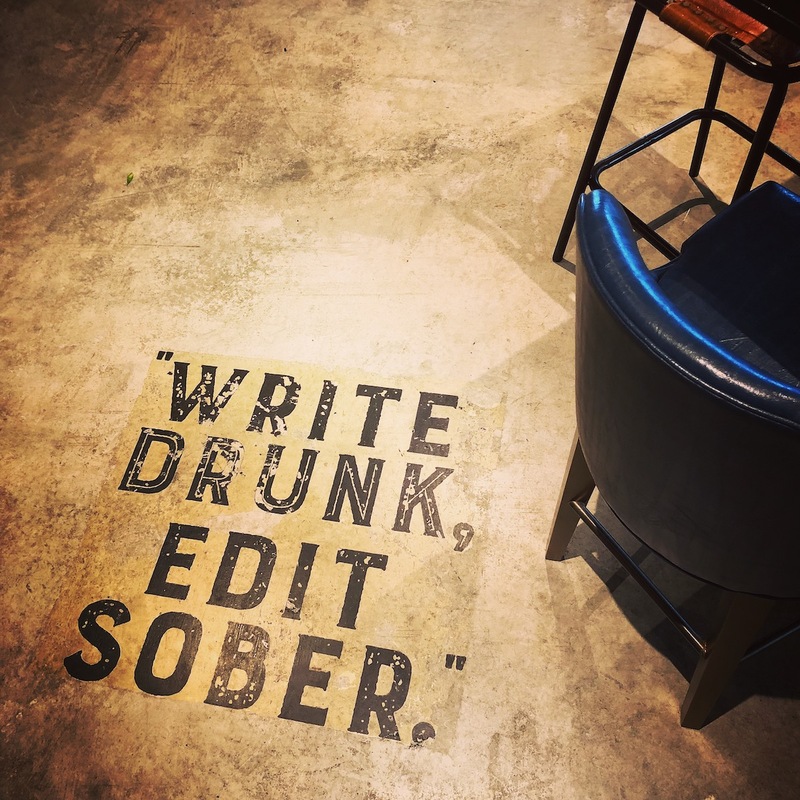 There’s even a shout out to the literary giants who graced Key West with a funny tidbit on the polished concrete floor of the bar. Often attributed to Ernest Hemingway, the quote says, “Write Drunk, Edit Sober.” It’s touches like these makes your stay even more memorable. 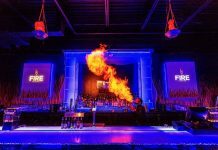 The Perry Hotel is located on Stock Island, and the staff are sure to give you tips about local hot spots that truly make this a Key West lover’s hotel. The Perry celebrates the local culture. You feel like you have an “in” at this hotel, and the staff will treat you like a local. It would be remiss of me if I were not to mention that the spirit of Key West lies in the people who live there. Without them, the island wouldn’t be what it is. 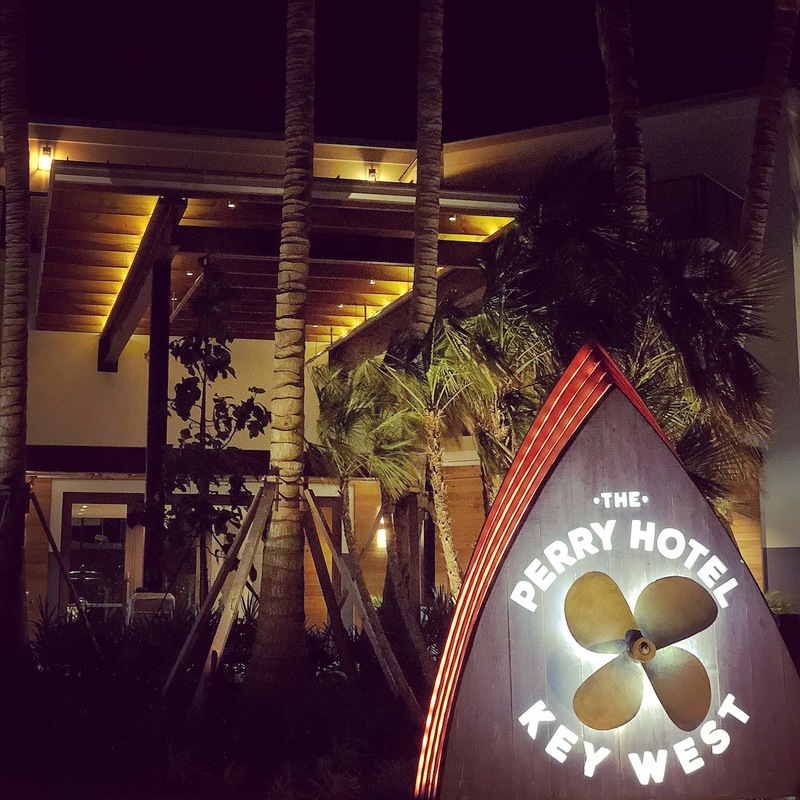 The Perry offers visitors of Key West a chance to experience an authentic taste of life in the Keys. Everything about the room is modern & rustic maritime chic. You’ll feel like you can take a photograph for Architectural Digest in your room. That being said, the Perry was named one of the top 12 Best-Designed Hotels of 2017 by Architectural Digest, and it makes complete sense. Again, the maritime and fishing heritage subtly plays itself into the décor, but not too much. The Perry Hotel is a fashionable one. 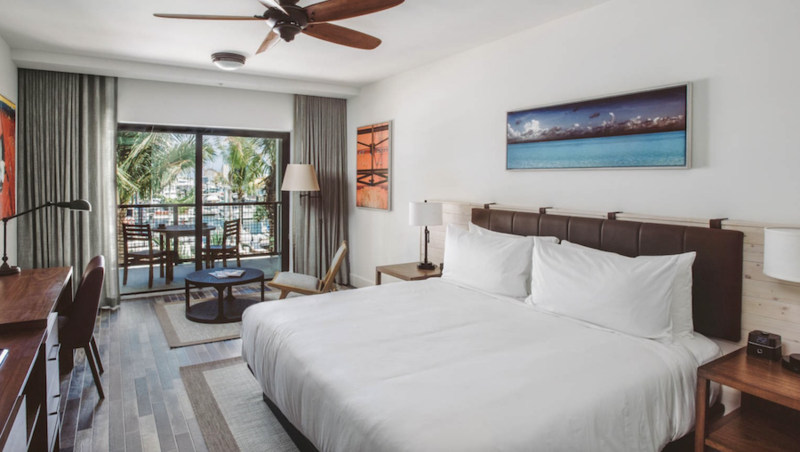 You can see mid-century modern inspirations in the furnishings, and the sea calls to you from your room. Most of the rooms afford views of the marina. 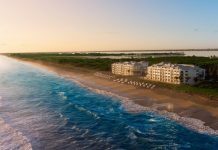 This newly renovated deep water marina provides easy access to the Ocean. One of the bragging rights of The Perry is its close proximity to this marina. This isn’t your typical run-of-the-mill Key West experience. You’ll experience a true sense of Key Life out here. The Perry has 100 Guest rooms with large outdoor balconies. Some of the rooms have extra large balconies with waterfront views AND outdoor showers. 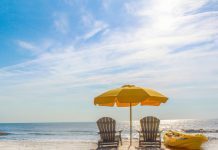 The Perry is the ideal hotel for those who are arriving back from a day spent on the water, especially if you’ve booked an excursion with an outfit at the adjacent marina. 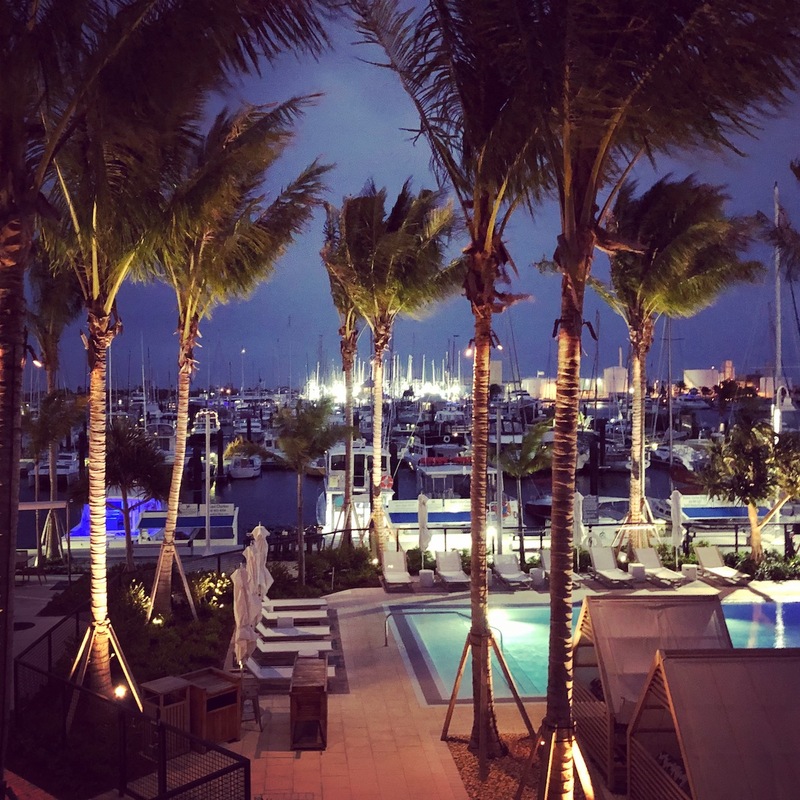 Where else can you get off the boat, meander down the marina, walk across the lush pool deck, rinse off at your outdoor shower, and slip into your room? On another important note, the Perry is pet-friendly. You don’t have to leave your furry friend at home. The ever-so inviting pool is stylish and refreshing. Surrounded by lush palms and cabanas, the waterfront swimming pool is the center of it all. With Matt’s and the Salty Oyster on either side, rooms and the marina on the other, you’re really in your own world at the Perry. 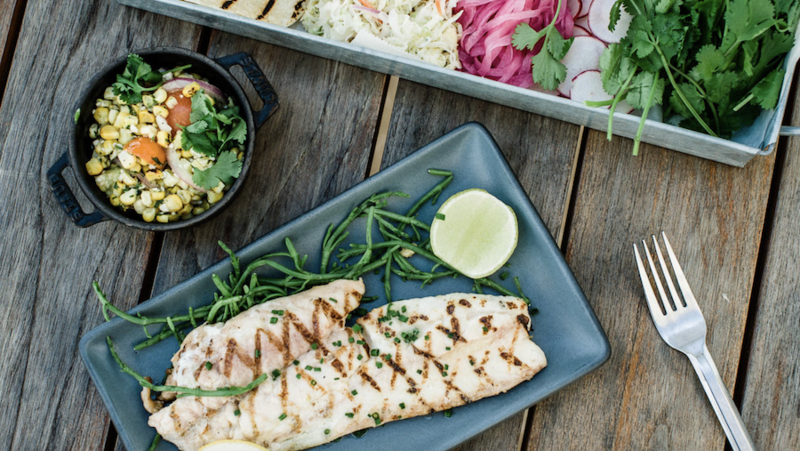 With two “boat-to-table” restaurant concepts, the food is sure to impress at The Perry. We even noted people who drove down from other parts of the Keys to dine at Matt’s Stock Island Kitchen and Bar. With the fresh catch written everyday for all to see, you know you’re getting the freshest fish from the marina next door. 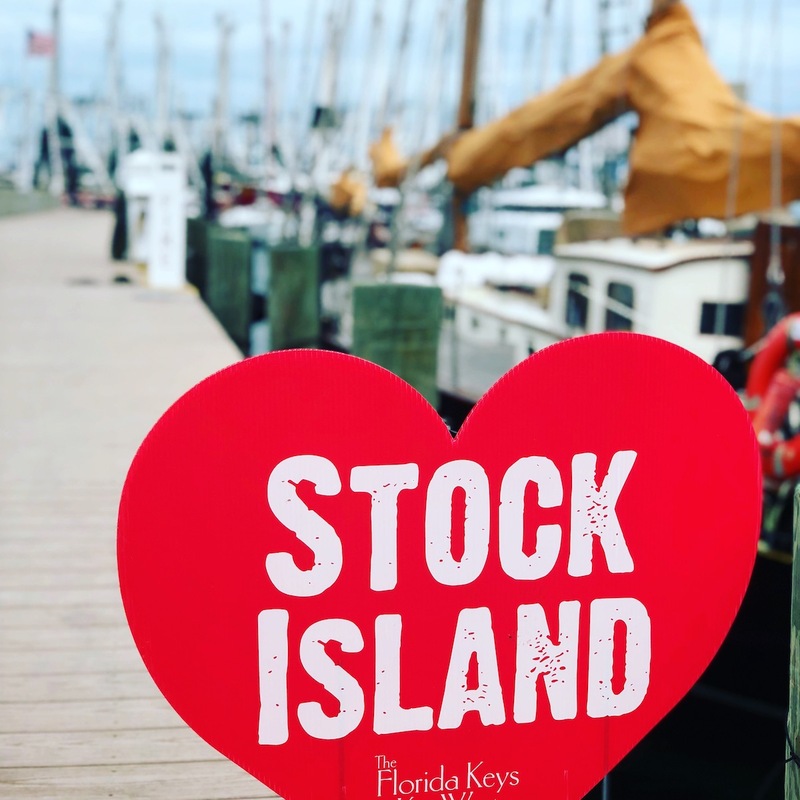 Matt’s Stock Island Kitchen & Bar and the Salty Oyster Dockside Bar & Grill are great food/drink options at the Perry. Both possess views of the pool and marina. 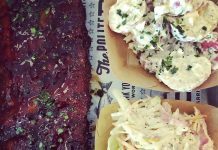 The Salty Oyster Dockside Bar & Grill is a fun bar that is great for those who want a more relaxed bite and drink. 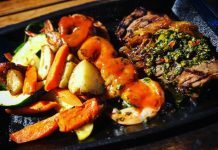 Matt’s provides more food fare, and it’s an excellent dining experience. There’s always great music playing and you can’t go wrong sitting inside or out. Day or night you have nice views of the marina. 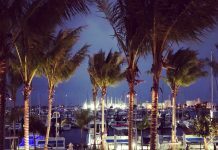 It’s quite beautiful to eat at Matt’s once the sun has gone down though, because the marina comes alive in another fashion – with all the lights from the boats. The Perry is nestled next to the Stock Island Marina – the largest deep water marina in the Florida Keys. 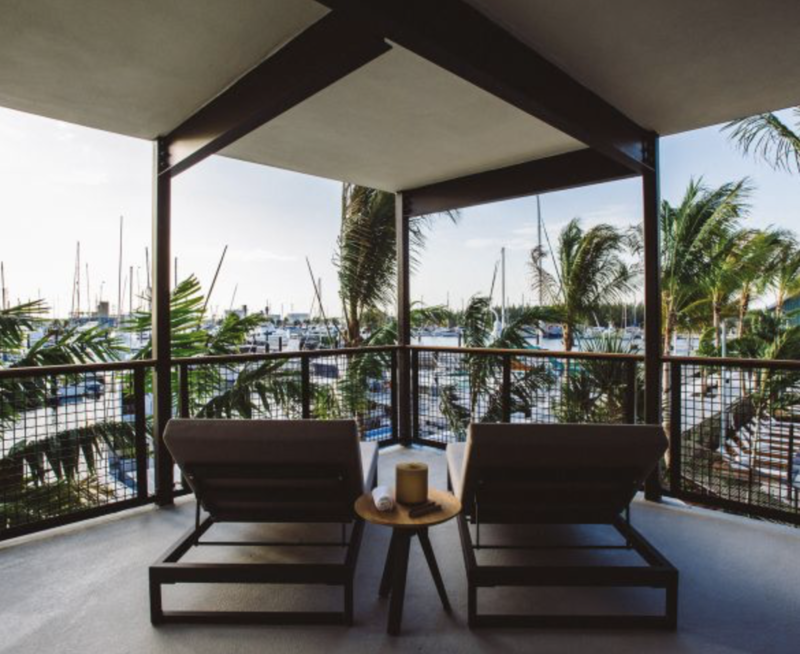 The private marina, 220-slips, boasts an organic community garden, two dog parks, local artists’ studio, on-site distillery, and handmade crafts & boutiques. 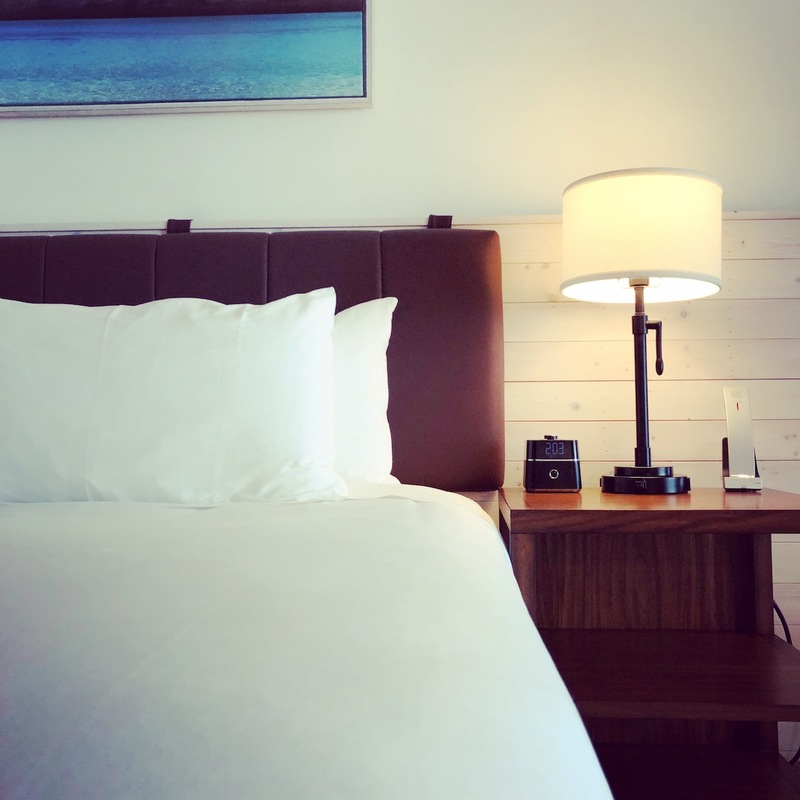 Staying at the Perry gives you the opportunity to experience this authentic slice of Key West. 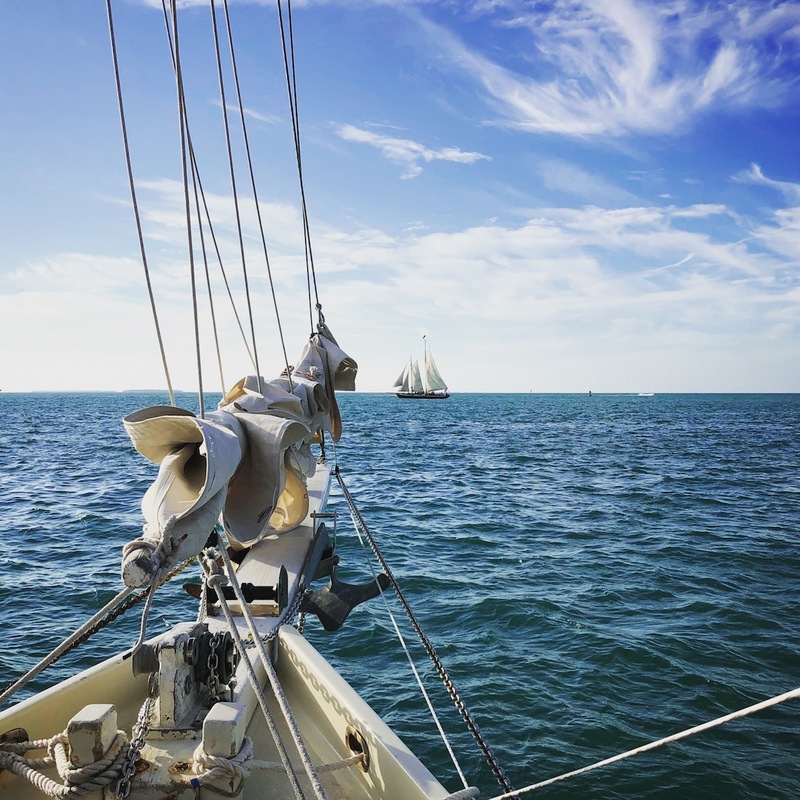 Without the touristy flair of some outfits, it’s nice to enjoy such an authentic part of Key West and have a great time experiencing the water. The marina also boasts a plethora of excursions that can get you out to where you really want to be – the water. The Perry Hotel is a cool and trendy hot spot. Thank you for hosting us. On treasure maps, ‘X’ marks the spot. In Key West, we know where ‘X’ marks the spot – at the Perry Hotel.